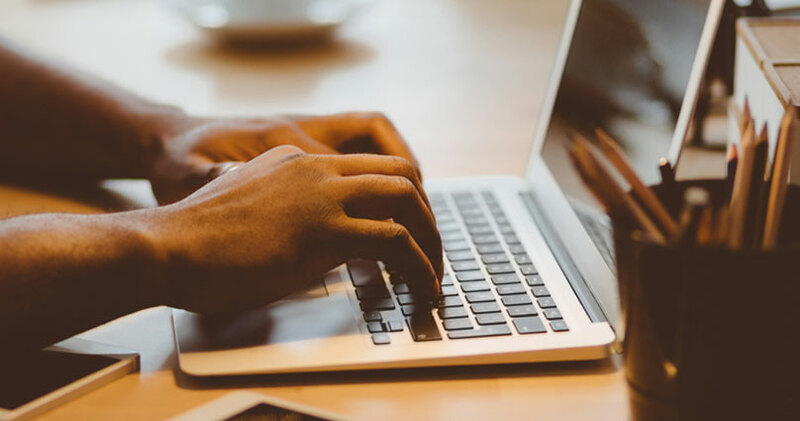 Short for search engine optimization, SEO is the art (and science) of improving your site’s rankings on major search engines like Google, Bing, and Yahoo. When these improvements involve making tweaks to the content, layout, and composition of your site, it’s called on-page SEO. These website characteristics are all within your direct control. However, successful on-page SEO requires extensive research and technical implementation. Both need to be executed correctly to begin seeing results. The goal of SEO is to help prospective customers find your business when they search online. Every Google query produces a list of ads and organic results. And if your business doesn’t appear in these listings, no one will ever come knocking. It’s impossible to overstate this fact. Your customers type questions into Google every second. And if your site isn’t optimized to answer these questions (using the keywords they’re typing), your site will never be discovered. During the early days of search engine optimization, many SEO experts would write content designed to attract Google’s indexing robots. They would overuse keywords and employ various “tricks” to make their content more inviting to search algorithms. But over the years, Google’s algorithms have become smarter. And they can more accurately analyze content to see whether your pages were written for actual humans or robots. Writing for Google’s algorithms is no longer a winning strategy. In fact, you might even be penalized for trying to “game” the system. The takeaway is that you should write your pages for living, breathing people – i.e. your customers. More specifically, you should create valuable content that speaks to their needs, desires, and problems. Having this information allows you to attract the right type of traffic to your website. And it also dramatically increases your ability to engage with these visitors once they arrive. That’s because your content addresses their needs – and not those of tire-kickers and visitors who have no chance of ever converting. Developing customer personas can help you with another piece of the SEO puzzle – i.e. keywords. Building personas makes it easier to identify the keywords your customers are searching. And once you know these keywords, you can begin weaving them into your content. Keyword inclusion allows Google’s robots to determine what your site is about. And as a result, you’ll rank higher in the. But again, you’re writing for humans – not for Google. So keyword inclusion must be done naturally and organically. Get this step wrong, and you’ll likely be penalized with lower rankings. You can still tackle SEO and keyword implementation on your own. But know that Google’s search algorithms are evolving constantly. And if you lack the technical expertise or marketing bandwidth to stay on top of these changes, partnering with an outside agency may be your best bet. If you’re not on the first page of Google, your company might as well not exist. But even being on Page 1 isn’t enough since the majority of visitors only click on the first few results. 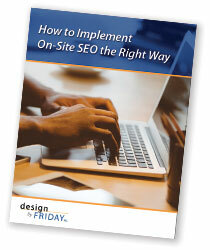 Learn about how On-Site SEO can help boost your online visibility and leads by downloading this free ebook now. Truly effective SEO takes time. Reaching Page 1 of the results requires a lot of effort upfront. And to maintain that position, you must invest in never-ending improvements. This is because Google rewards websites that are frequently updated with valuable content. And the more of this content you publish over time, the better. The good news is that very few companies have the resources, time, and motivation to sustain their SEO efforts over the long haul. And this works out in your favor – especially if you begin implementing SEO during the early stages of a new site build (or old site renovation). You’ll see much better results than if you tried to retroactively improve a site whose content, layout, and keywords are already locked in. Ready to Begin Attracting Traffic? Your website is a hub – a valuable online asset that ties all of your other marketing and promotion efforts together. And properly setting up and nurturing that asset gives you the best chance of outranking the competition – both today and for years to come. At Friday Marketing, we can help you develop and implement a long-term SEO strategy that delivers consistent results over time. To get started, schedule a free appointment with us today.